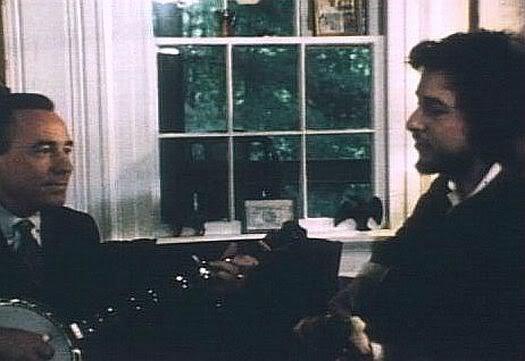 Dylan records two songs with Randy, Gary, and Earl Scruggs at the New York home of Thomas B. Allen, for a documentary on Earl Scruggs. Playing harmonica and guitar on “Nashville Skyline Rag,” he then duets with Earl on “East Virginia Blues.” The first song is later released on Earl Scruggs Performing with His Family and Friends, both are included in a documentary of the same name screened by NBC in January 1971. Relesaed on: “Earl Scruggs Performing With His Family And Friends”, Summer 1971. Broadcast by National Education TV, New York City, New York, 10-17 January 1971.